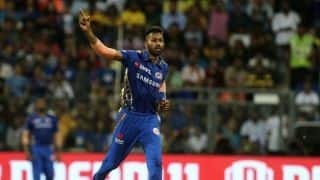 Hardik, on his part, praised openers Rohit (28) and Quinton de Kock (40) for the start the team got in the run chase. 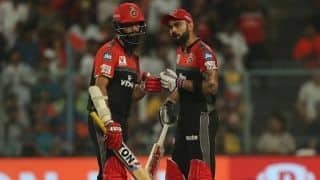 RCB’s biggest challenge will be to try and figure a way to tame Mumbai’s explosive batting line-up. 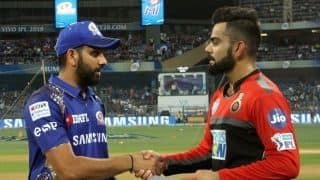 Can RCB surprise bruised Mumbai Indians? 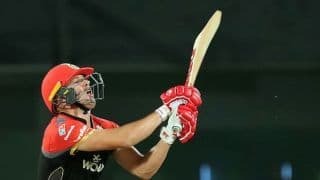 RCB's joy might be short-lived when they square off against Mumbai Indians on Monday at the Wankhede stadium. 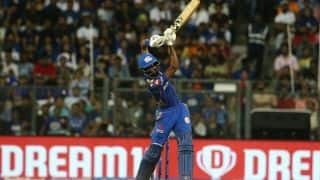 While Buttler enthralled with his belligerent hitting, Pandya once again showed his class with the bat in the death overs for Mumbai. 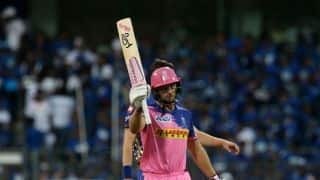 Jos Buttler scored 89 off 43 balls as Rajasthan Royals beat Mumbai Indians at Wankhede. 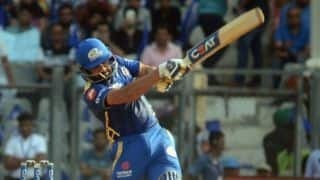 Rohit Sharma, who made a comeback after being rested in the previous game, scored 47. 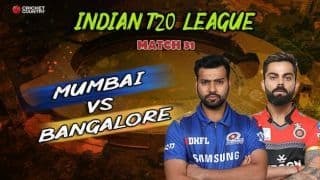 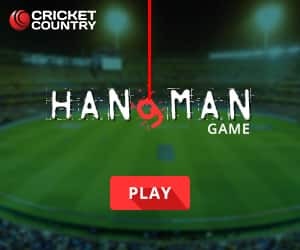 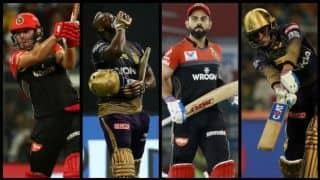 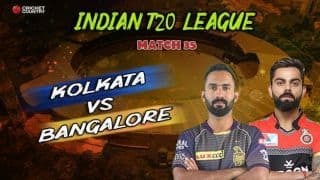 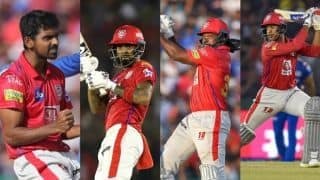 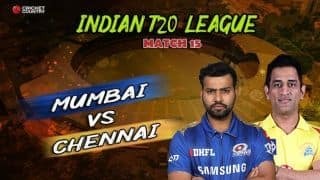 Hello and welcome to our live coverage of Match 15 of the Indian Premier League 2019 at Wankhede Stadium, Mumbai on Wednesday. 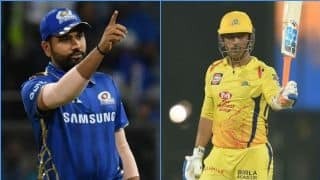 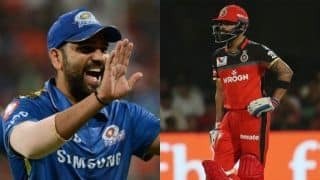 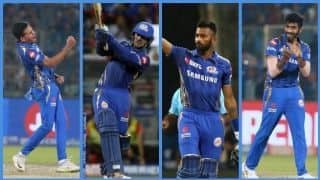 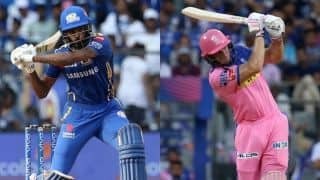 IPL 2019: Can Mumbai Indians stop Chennai Super Kings’ juggernaut at Wankhede? 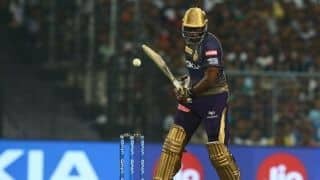 R Ashwin-led Punjab, playing at home, registered second win of the season. 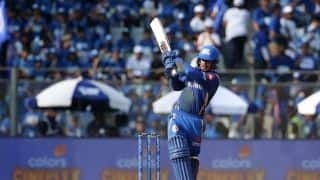 Quinton de Kock scored 60 off 39 balls and crossed the 1000-run mark in the cash-rich league. 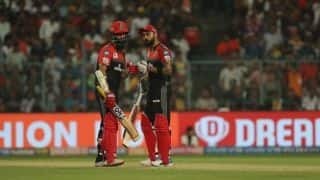 Mumbai lost their first match against Delhi by 37 runs, despite Yuvraj Singh's brilliant half century in his debut match for this franchise. 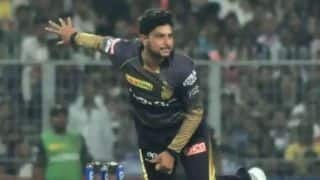 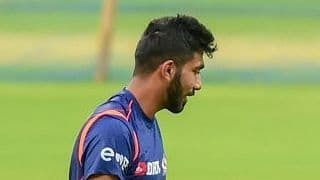 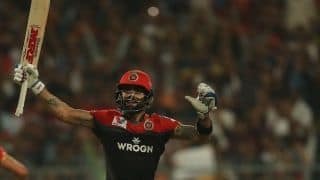 He had suffered an injury on his left shoulder after he landed awkwardly while fielding during Sunday's IPL contest against Delhi Capitals in Mumbai.